ZTE is all set to release the ZTE Nubia Z11 smartphone, barely two weeks after the Nubia Z11 Max was released. The company seem to be taking its time in releasing the members of the Nubia Z11 family. First the Nubia Z11 Mini was released sometime in April, closely followed by the Nubia Z11 Max earlier on in June and now the Nubia Z11, the leader of the pack has got a June 28 release date. There have been rumors surrounding the ZTE Nubia Z11 specs but all that has been put to rest with the revealing of the official specs and features of the phone via its TENAA certification. Lets take a look at them. The ZTE Nubia Z11 wears a Metal fuselage over its entire body and the screen fuses with the body to create a borderless screen design. 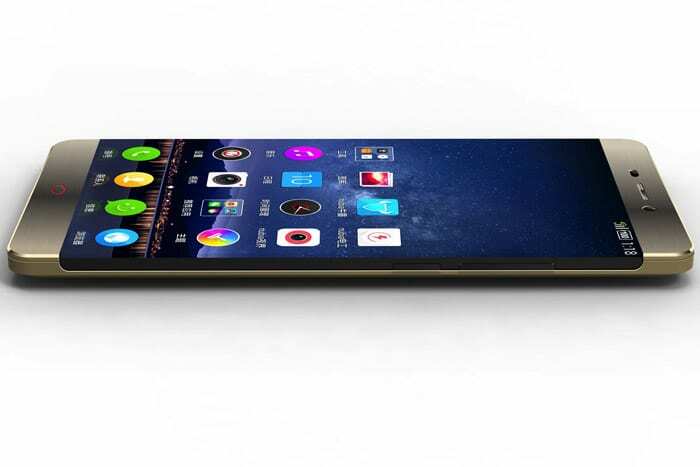 The entire body will be 7.75mm thin with a dimension of 147.4×68.3×8.9mm and weighing 192g. The Nubia Z11 boasts of a 5.5-inch curved touchscreen display with a resolution of 1920 x 1080 pixel, with 2.5D glass cover. The device sports a 16 mega-pixel rear facing camera with LED flash and auto-focus while the front facing “selfie” camera is a cool 8 mega-pixel affair. The ZTE Nubia Z11 will be powered by a powerful Qualcomm Snapdragon 820 processor with Adreno 530 GPU. The device will also pack along a 4GB RAM and 64GB on-board storage which is believed to be expandable. The sleek device will boot Android 6.0 Marshmallow out-of-the-box and will support FiT technology as well as sport a Finger print scanner. The ZTE Nubia Z11 will be fired up by a 2900 mAh non removable Li-Ion battery. Connectivity options on the smartphone include Bluetooth 4.2, Wi-Fi, NFC, GPS/ A-GPS, GLONASS, Type-C 1.0 reversible connector, USB On-The-Go, GPRS/ EDGE, 3G, and 4G LTE. Onboard sensors include Fingerprint, accelerometer, gyro, proximity, and compass. The smartphone is available in Black, White, Gold colour variants. Other Feature: 4G, 3G, WIFI, GPS, Bluetooth, FM, Ebook, Email, Messaging, wallpapers, calendar, calculator, clock, camera, hotspot, OTG, gyroscope, compass etc. The ZTE Nubia Z11 is listed on Nubia’s online shop with a price tag of $499.99, about 33610.05 Rupees in India, which is about 100,000 Naira in Nigeria but the device will be officially released on June 28.